to assemble the roof, find a piece of wood that is the same depth as that created between the roof component and the top of the side component, 04-103, at the front of the house. 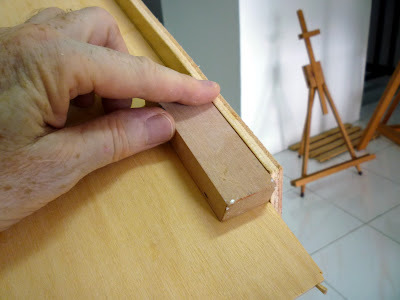 Use this piece of wood top then position the roof component along its joint with the side component. 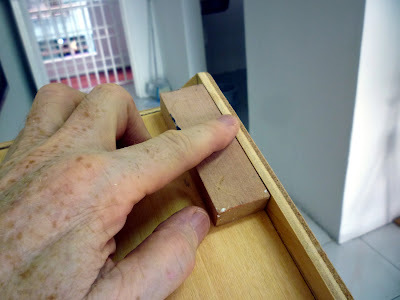 Mark, glue and nail in the usual manner.